Lisa Sharp was born and raised in Mandeville, La, a town just north of New Orleans. Lisa grew up next door to her grandparent’s farm where she enjoyed the best of both worlds, city living and farm life. Growing up in South Louisiana, she had the benefits of a large extended family and friends that were called family; those benefits included crawfish boils on the weekend and spending time on the water. Lisa moved to Baton Rouge, LA for undergrad where she attended Louisiana State University. It was here that she developed a passion for college football and the ability to bleed purple and gold. Her degree in Political Science landed her a job with the Louisiana House of Representatives in the Docket Office where she worked through the time of Hurricane Katrina. After countless legislative sessions to get the state of Louisiana back on track, she decided to pursue her dream of becoming an attorney. Lisa moved to higher ground for law school and ended up in Oklahoma. She attended Oklahoma City University as a Merit Scholar. It was here that Lisa discovered Red Dirt Music and legal advocacy. After law school Lisa wanted to live near family and decided she would move to Dallas where her brother lived. She had spent plenty of time in Dallas and thought it was a wonderful city and a great place to call home. She does, however, adamantly refuse to cheer for any NFL other than the New Orleans Saints. For the first six years of her legal career, Lisa worked in the area of family law. As she watched her clients adapt to major life changes, she grew to understand the importance of putting in place a proper estate plan. After the unexpected passing of client, Lisa helped her client’s family put the pieces back together with the estate plan Lisa had prepared. This became her catalyst to move away from family law and focus her attention wholly on helping families with estate and trust law. She understands firsthand the importance of preparing for the unexpected. 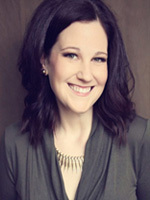 Lisa’s goal is to develop lifelong relationships with her clients, not short-term engagements. It is this common vision she holds with the McGee Law Firm to make estate planning, estate settlement and probate an easy, comfortable and enjoyable process to the best extent possible. Lisa believes the most important thing she brings to this whole process–besides all the education, training, experience and knowledge—is being a good listener and explaining things in a simple, straightforward manner without all the legal language and process that can be so confusing. Lisa has four godchildren that she loves dearly. She is lucky that two live in Dallas and she gets to see firsthand as they grow up and hit life’s little milestones. As for her godchildren that live in Louisiana, she gets back home as often as possible to spend time with them. Lisa loves to refinish and rehab old furniture. She enjoys figuring out how to modernize her finds, all while keeping the original charm and aesthetics of the piece. Often, Lisa has to frequently use her attorney skills to persuade sellers to accept her offers when the price is not quite right. Lisa is also an animal lover. She has a 7 year old Shih Tzu named Gracie Lou and an 8 year old Airedale named Holly. When not working, she is often found at the dog park or at yoga class. She is an avid reader and hosts a monthly book club.